Fenugreek seeds come from a bean plant. 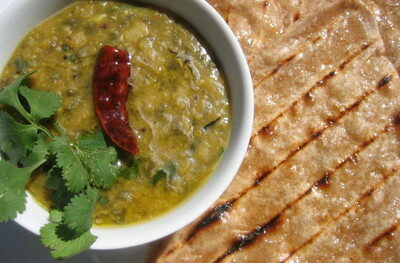 In some countries they are cooked up as a staple like dal or used to make a milk substitute for babies. Tutankhamen liked them as well, apparently. Used as a spice fenugreek has a distinctive aroma – a sweet savouriness reminiscent of maple syrup. In fact, it’s used to flavour artificial maple syrup. Cumin seeds crop up in all sorts of recipes all over the world, from North African tagines, to Indian curries, East European soups, Mexican burritos and a few European cheeses and breads. The ancient Greeks loved it so much they kept it on the dining table in its own special box. Fennel seeds are anise-flavoured, like the stems and leaves of the plant. Star anise is chewed in China, and fennel seeds in India, to ‘sweeten the breath’ – literally – the distinctive chemical compound common to both spices is 13 times as sweet as regular sugar, by weight. Asafoetida powder, charmingly nick-named ‘devil’s dung’, is made from the sap of the root of a member of the carrot family. The sap is aged until resinous, sometimes in goat or sheepskin to enhance its naturally sweaty, sulphurous, stinky cheese scent. Don’t let this put you off, some claim the smell reminds them of white truffles. The vegetarian Jains in India use asafoetida in place of onions and garlic, which they avoid as uprooting them kills the future plant and disturbs the little bugs in the soil. Cayenne powder is derived from the Cayenne variety of chilli pepper, which is approximately 3 times ‘hotter’ than the Serrano, at least 15 times hotter than Paprika, and over 100 times hotter than the Bell pepper (in Scoville pungency units). So beware how much you use. Turmeric powder comes from the dried rhizome of a plant in the ginger family. It has been used since prehistoric times to colour skin, clothing and foods yellow, for ceremonial purposes and as a medicine and preservative. It’s still popular today – India produces some 350,000 tonnes each year. Mustard seeds are usually added at the end of cooking as prolonged exposure to heat reduces their pungency and leaves behind a generic cabbage-family aroma. Black mustard seeds are the strongest, then brown, then yellow. On the global scale of trade, black pepper is the only spice to outdo mustard in monetary terms. The word ‘mustard’ comes from its use in the popular condiment – ‘must’-‘ardens’, ie ‘piquant must’, as prepared mustard used to be made with grape must. Curry leaves come from a small citrus tree and are used widely in Indian and Malaysian cuisine. ‘Curry’ probably hails from the word ‘kari’, which means ‘spicy sauce’ in many languages in those regions. Most local names for the plant include the word ‘kari’, however there are no kari leaves in the usual curry spice mixes, and ‘kari’ can also mean ‘black’ it seems, referring to the colour of the leaves of a similar looking bush. Which would mean that the stupid Brits just called them ‘curry leaves’ because they heard a word that sounded similar – ‘kari’. To complicate matters further there is some evidence that the word ‘curry’ was used for stews in Britain before the first traders arrived in the subcontinent. A great etymological mystery that I will assign to my linguist husband for further research… Anyway, the leaves are usually added whole to dishes, like bay leaves, and often fried briefly in butter before being added, as in this recipe. They’re much better fresh than dried, and can be stored in the fridge or freezer for a week or two before they lose their flavour. Buy them on the branch if possible. It’s antidiabetic qualities are supported by scientific research.